Borough is the name given to an area inside the borough of Southwark on the south bank of the River Thames. It is one of the oldest areas of London, and at one point it was the only borough that existed outside the City of London. Borough High Street is the focal point of Borough. There are many restaurants and pubs, one of which is the historic pub The George Inn, founded in 1676. This is owned by the National Trust, and it is the last galleried inn to survive in London. Borough also has connections with Charles Dickens – the Church of St George-the-Martyr was mentioned in 'Little Dorrit'. Borough has good transport links, including a number of Tube stops as well as London Bridge station. It also has a wide selection of property types ranging from luxury apartments to semi-terraced houses. 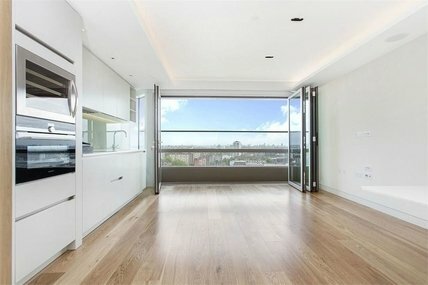 There are a number of luxury riverside apartments in Borough, including places such as Clink Wharf. The area is home to various new developments, like those on Long Lane, so there are many modern flats and houses available. As well as luxury flats, there are also a number of Georgian townhouses that have mainly been covered into flats. Many of these can be found in Trinity Church Square, which is one of the most desirable locations in Borough. 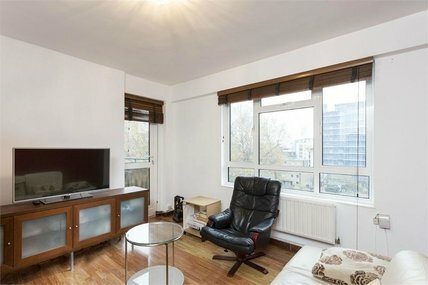 More affordable property can be found slightly further out from the centre, such as in Elephant and Castle. There are also terraced and semi-terraced properties in Borough, many of which are located on the Old Kent Road. Borough has a large selection of both primary and secondary schools. Some of the primary schools include Saint Joseph's Catholic Primary School, The Cathedral School of St. Saviour and St. Mary Overie, Grange Primary School, Boutcher Church of England Primary School, Charles Dickens Primary School, Friars Primary Foundation School and Snowsfields Primary School. There are also a number of secondary schools, including Notre Dame Roman Catholic Girls' School, St Saviour's and St Olave's Church of England School, Ark Globe Academy, Morley College and London Nautical School. Borough has seen lots of regeneration over recent years, as have many areas on the south bank of the river. These have included the construction of many different types of property including flats and houses of various styles and budgets, from council estates to luxury apartments. In fact, according to the Southwark Council, 40 percent of Southwark is currently under regeneration, and developments valued at about £4 billion are currently taking place. One of the major developments in the area is the Bermondsey Spa area. 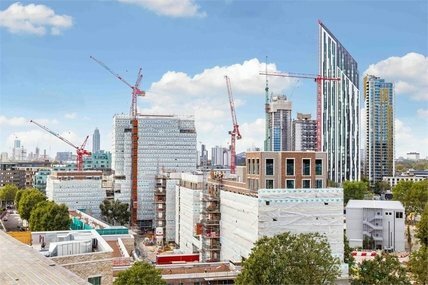 This is being regenerated by Southwark Council and the Hyde Group, and it will involve constructing 2,000 homes, 40 percent of which will be made up of affordable housing. It will also include two health centres, 2.5 hectares of open space, play facilities and many new shops and offices. Another of the developments in the planning is Queens Road. This will be improved by Southwark Council, and initial designs have been produced. Borough is one of the oldest areas of London. This is the London of Shakespeare and Dickens, an area rich in history that has changed much over the years. You can find out a lot about the area through the blue plaques that have been put up on buildings and monuments throughout Borough. Just to the south of Borough is Talbot Yard, which once housed the Tabard Inn, featured by Chaucer in his Canterbury Tales and a starting point for pilgrims to St Thomas Becket in Canterbury. John Harvard Library provides a wealth of information, as does Southwark Local History Library, which is a must for anyone interested in the borough’s amazing history. The church of St George-the-Martyr is famous for its connections with Dickens' Little Dorrit. Borough High Street is one of the oldest roads in London. It used to be filled with inns for travellers, and it was an important location for passenger coaches in the 18th century. It suffered badly from bombing raids during the Second World War. However, many houses still have historic features dating back to the 17th century. Major changes to the area include the building of the new London Bridge in 1825 to replace the stone bridge dating back to 1176, followed by the construction of London Bridge Station in 1844 and the Charing Cross Railway line, which was built through the area in 1863. St Margaret's Church is one of the oldest churches in the area, and it has been around since at least the start of the 12th century. The Borough Market is perhaps the most famous historic landmark of the area. The market dates back to at least 1542, but food markets have been held in Borough since at least the 11th century. The market was moved to The Triangle in 1755 when local residents raised money to buy the land, and it remains on the site to this day. Borough has good transport links, including a number of underground stations as well as London Bridge station. It also has a wide selection of property types ranging from luxury apartments to semi-terraced houses. London Bridge Station is the main overground station in Borough. It goes without saying that the area’s main, mouth-watering attraction is Borough Market with its source of exceptional British and international produce. 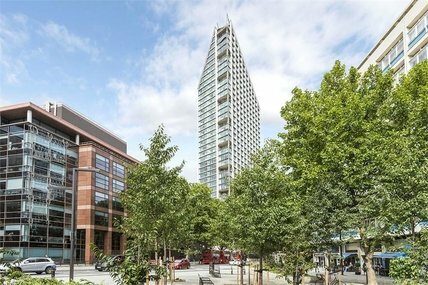 The Market is set between the River Thames and Borough High Street and consists of a series of winding streets and walkways through one main area and two more self-contained markets. Just over a decade ago, Borough Market experienced something of a renaissance and is now extremely popular with established chefs and amateur cooks alike – anyone who likes good food and drink basically! In addition to the culinary delights, the market is full of lively folk from all over the world, all with a passion for growing, rearing and baking quality produce. As such, it’s a place to mingle, explore and draw on the knowledge of all the stallholders who’ll only be too willing to share their experiences and advice. It is this sense of community, which emanates from the Market, makes Borough property very popular. Being one of the most historic areas of London, Borough has many attractions of interest. Southwark Cathedral – a beautiful historic Gothic cathedral. Borough Market – a historic market with a strong community feel, serving a wide range of fresh produce and gourmet food. A must for anyone in the area. The London Bridge Experience & Tombs – a gruesome but thrilling experience where you will discover the dark side of the area's history. The Clink Prison Museum – museum on the site of the Clink Prison, one of the most notorious of London's prisons since it was built in 1144. The Tate Modern – one of the best museums of modern art in the world. The Old Operating Theatre Museum and Herb Garret – the oldest operating theatre in London. The Golden Hinde II – the galleon used by Sir Francis Drake and located in Bankside. The View from The Shard – The Shard is the tallest building in Western Europe, and it has the highest viewing platform in London. Get more information about Borough and the surrounding area, as well as the property available in the area, by contacting our Borough estate agents' office on 020 7378 9000.